On Thursday morning at 08:30 Community Medics were activated to a swimmer who had been found, unresponsive in the Camps Bay tidal pool. When Medics arrived at the tidal pool they found Law Enforcement officers performing Cardiopulmonary Resuscitation (CPR) on the victim. The victim, a 37-year-old male, went for a swim in the Camps Bay tidal pool around 7am this morning and was due to be home again around 8am. When he failed to returned home, his wife became concerned and went to the tidal pool in search of him. 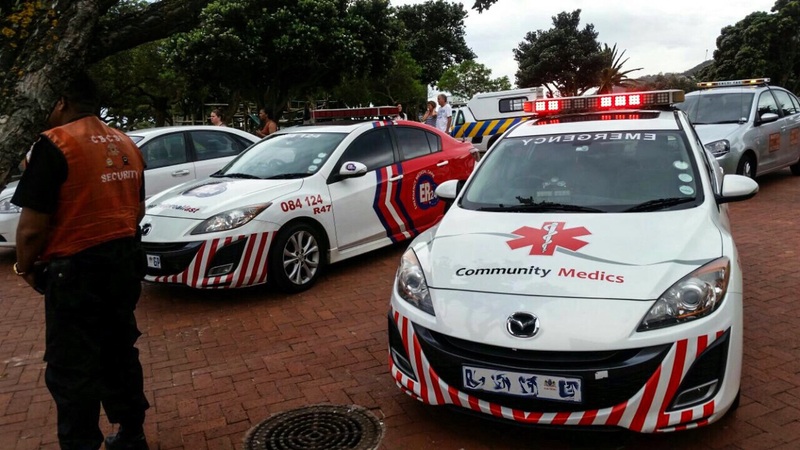 On Arrival Community Medics and ER24 performed extensive tests on brain activity and heart electrical activity. Only after all of these tests, was the victim declared dead and CPR was terminated. Community Medics must commend the Law Enforcement officers on scene for their outstanding performance and treatment for the patient. It is thanks to these officers that the patient had the best possible chance of survival. Thanks to all services on scene for their assistance, namely ER24, Law Enforcement,Camps Bay Watch, Bay Response, Camps Bay Community Service Initiative and the Western Cape Ambulance Service.